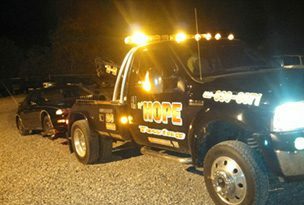 Whatever your towing and recovery need, Lynn Hope Towing LLC is ready to handle it day or night. 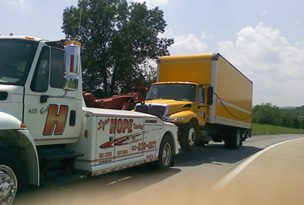 From Heavy-Duty Towing to Roadside Service Lynn Hope Towing is here to help. Accidents happen, and the staff and equipment at Lynn Hope Towing LLC are ready to get you back on the road. 2001. It remains a family owned and operated business. 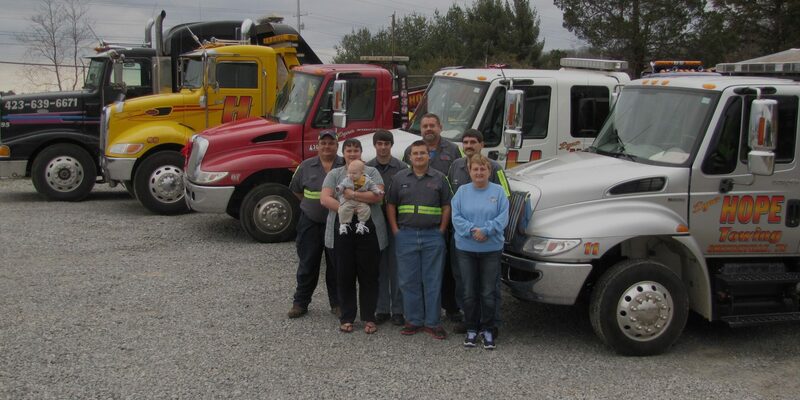 Primarily through word-of-mouth appreciation and recommendation for the companys’ fast, dependable and professional 24-hour service, the business grew from two trucks to its current seven-truck operation offering light- to heavy-duty towing and recovery services and more. Lynn Hope Towing LLC is a Greeneville Sun People’s Choice winner in the Best Business category, and provides service for the Greeneville area city county and state law enforcement agencies as well as many local automotive dealerships, body shops, garages and private accounts. 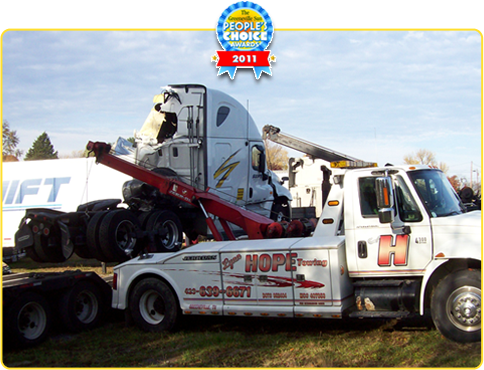 At Lynn Hope Towing, our goal is 100% customer satisfaction. We ask each one of our customers for feedback and read every response. Doing so allows us to closely monitor operations while constantly improving the quality of our service. I locked my keys in vehicle. WOW!!! Fast, friendly service. Questions ? Need a Tow? Give us a call! 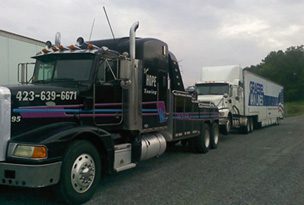 Lynn Hope Towing LLC was started by owner/operator Lynn Hope in 2001. It remains a family owned and operated business. 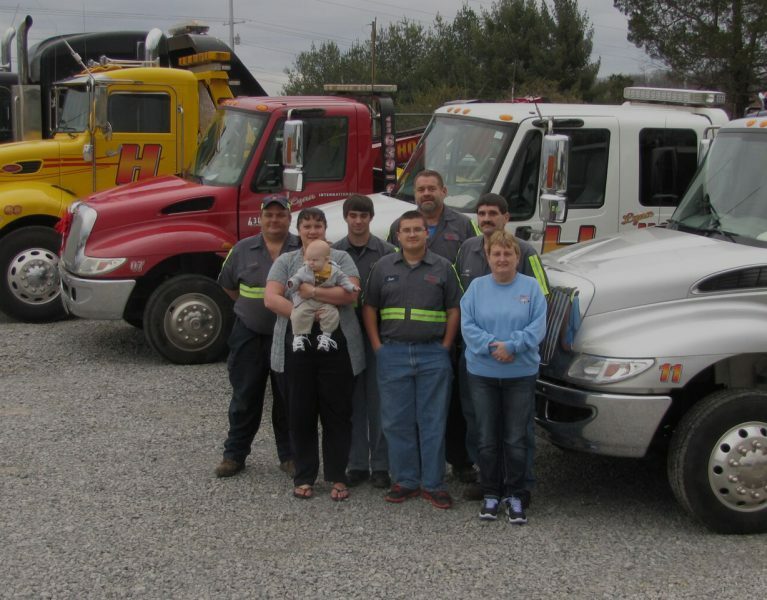 Primarily through word-of-mouth appreciation and recommendation for the companys’ fast, dependable and professional 24-hour service, the business grew from two trucks to its current seven-truck operation offering light- to heavy-duty towing and recovery services and more.